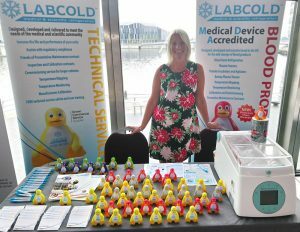 Labcold are pleased to be exhibiting at the annual SHOT Symposium again this year and our friendly team will be on hand to answer any questions you may have about our blood bank refrigerators, plasma freezers, platelet incubators and agitators, and of course the Barkey plasma thawer. If you’ve got a maintenance query, don’t worry, they’ll be able give advice about that too and calibration from our UKAS calibration laboratory No:8898. We look forward to seeing you there and don’t worry, there will be lots of FREE choclates and Labcold penguins for visitors to the stand.